The best cupcakes in Toronto just got better! 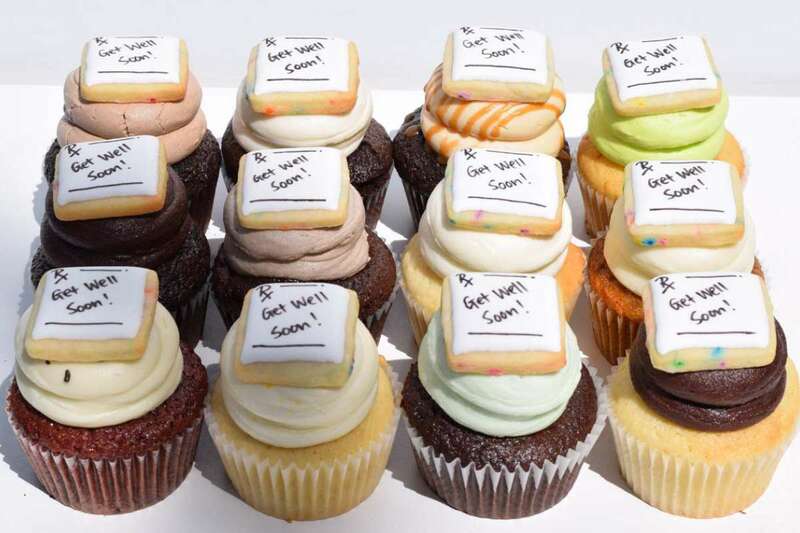 We now have special cupcake gifts to say “Get Well“, “I Love you!“, “Happy Birthday” and “Congratulations” to someone special. It almost goes without saying that we love to give thanks to our clients. Your business is greatly appreciated! Having the opportunity to deliver gifts of cupcakes to the fine people of Toronto is very special to us. Our most popular gift boxes ordered this summer has been the Happy Birthday gift box. On that note, we are in the midst of documenting some of the steps we take to create the gifts we create for our clients and will post that later this month. To help spread our cakes across Toronto, we have recently introduced a few new cupcake gifts available for gift delivery. Suffice to say, we are super proud of our talented bakers and what they have come up with! Check out some of our new hand-crafted sugar cookies shown below. They are great options to theme your birthday , congrats and get-well gift and make your gift truly unique. Here are just a few of the different options we now offer for Toronto cupcake delivery. We know people will love to receive these as gifts and would be grateful if you will share any feedback you get. These small get-well sugar cookies compliment our delicious cupcakes. Each one is carefully put on top of different cake flavours. These little birthday “hats” are very colourful. 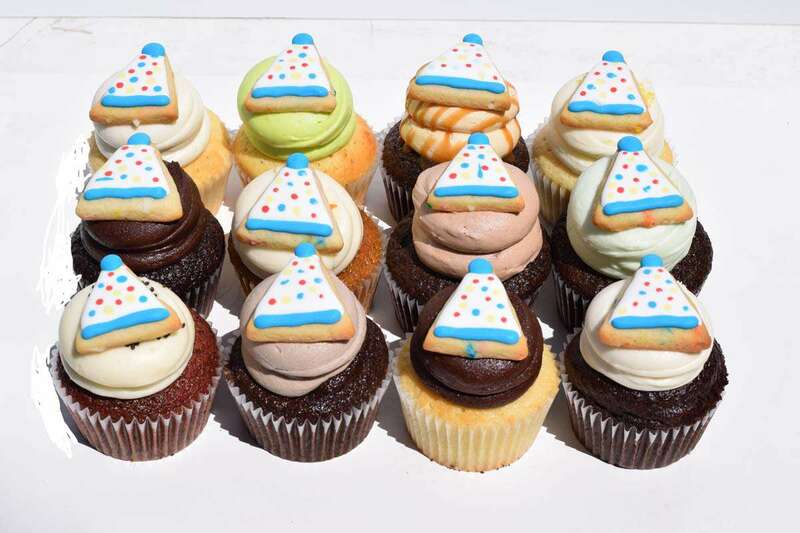 They sit on top of the different cupcakes included in the gift. These are perfect as part of a surprise celebration and to share with everyone at the party. 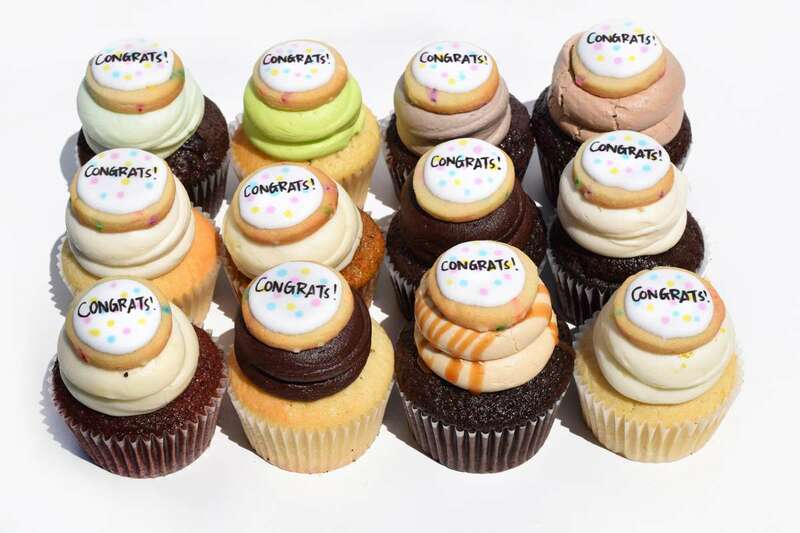 Say congratulations in a very sweet way with these amazing cakes. On top of each one is a uniquely hand-crafted ‘Congrats’ sugar cookie. We hope to be able to send a delivery of the best cakes in Toronto for you real soon. Enjoy the rest of the summer.